The Progressive Era has been depicted as a seismic event in American history—a landslide of reform that curbed capitalist excesses and reduced the gulf between rich and poor. 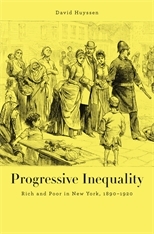 Progressive Inequality cuts against the grain of this popular consensus, demonstrating how income inequality’s growth prior to the stock market crash of 1929 continued to aggravate class divisions. As David Huyssen makes clear, Progressive attempts to alleviate economic injustice often had the effect of entrenching class animosity, making it more, not less, acute. 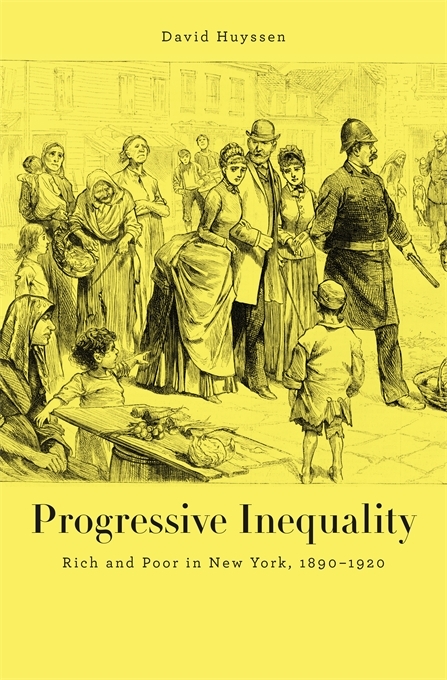 Huyssen interweaves dramatic stories of wealthy and poor New Yorkers at the turn of the twentieth century, uncovering how initiatives in charity, labor struggles, and housing reform chafed against social, economic, and cultural differences. These cross-class actions took three main forms: prescription, in which the rich attempted to dictate the behavior of the poor; cooperation, in which mutual interest engendered good-faith collaboration; and conflict, in which sharply diverging interests produced escalating class violence. In cases where reform backfired, it reinforced a set of class biases that remain prevalent in America today, especially the notion that wealth derives from individual merit and poverty from lack of initiative. A major contribution to the history of American capitalism, Progressive Inequality makes tangible the abstract dynamics of class relations by recovering the lived encounters between rich and poor—as allies, adversaries, or subjects to inculcate—and opens a rare window onto economic and social debates in our own time.